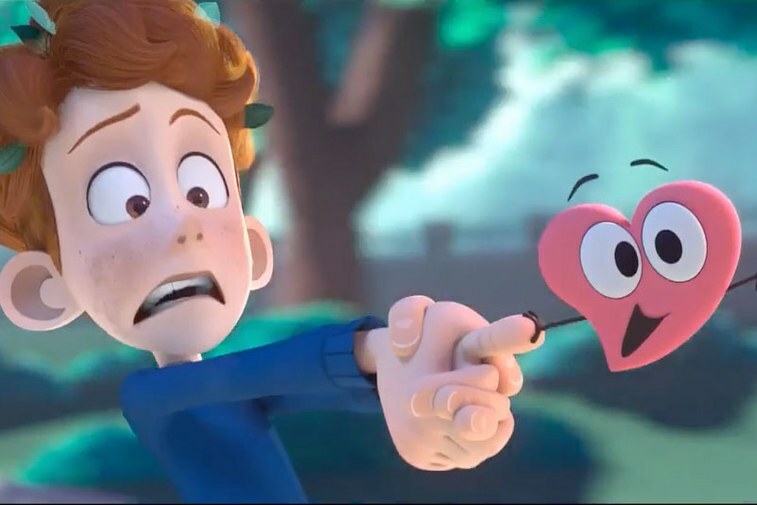 Around a few weeks ago, the internet quietly fell in love with In a Heartbeat, a short film about a closeted young boy who falls into the treacherous situation of possibly being outed: by his own heart. In the production, the lad’s heart pops out of his chest to chase down the boy of his dreams. It started out as the thesis project of two seniors, Beth David and Esteban Bravo, studying Computer Animation at the Ringling College of Art and Design. They started a Kickstarter fundraiser so they could get money to pay for a music composer and sound designer. The link to the Kickstarter was only posted on their personal Facebook page but it took off and they got funding beyond their wildest dreams, all of which they’ve been putting to use on their project. I can see why, just from the bits and pieces they’ve shown. The short won’t be released until next month…they’re hooking it to Gay Pride. But the premise is something that…as is being echoed all over Facebook…gives you all the feels. That is brilliantly clever, and it was so much Me…and probably lots of other gay folk of my generation as well, and also those that followed. The closet isn’t just one door but many; and that first door out is often the hardest one to open. As the subtitle to my cartoon story says: The first person you come out to is yourself… I remember so very well that terrifying yet magical time when my heart was more ready than I was to know. Yes…it seems to have worked out better for the kid in this animated short than it did for me. But that’s art, which as Picasso said, is a lie that makes you see the truth. Gay kids of my generation seldom got the happy ending. I sure didn’t. And yet despite all the heartbreak and disappointment I’ve endured since that first magical crush, I can still look back on it fondly and gratefully. It Was magical. I can’t wait to see the entire thing. In the meantime…here’s the first official trailer. Their Facebook page is Here.